With the launch of our Early Bird membership, we want to make sure that you are making the best use of your membership, for your needs. 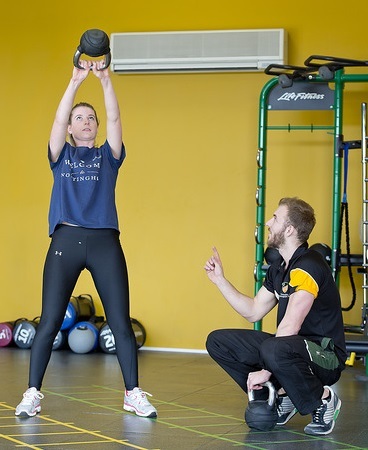 Therefore we provided 8 simple ways to get the most out of your UoN Sport and Fitness Membership. Are you exhausted from a long day in the library and don’t want to plan your own gym workout?-try a group exercise class! You don’t have to rely on your own motivation to get you through, you’ll have a class full of similar people trying to achieve the same goal! With over 200 classes included in your membership, you have a lot to choose from and suit around your schedule. Sick of copying exercises off Instagram? Get a programme built with a gym instructor! With a UoN membership you can sit down with an instructor, discuss your goals and help you get there by writing a programme with their expertise specifically for you. They will also go through the moments with you to make sure you feel confident performing them correctly to reduce the risk of injury. Go hard at the gym yesterday and feeling sore? Use the eight-lane swimming pool for a low impact full body workout. Swimming is a great low impact workout that works your full body. If you’ve been completing HIIT and hammering the burpees your body might be feeling the impact of the trend ‘High Intensity’. You don’t have to have a day off, head to the pool with your UoN sports membership and give those joints a rest whilst working those muscles out. Boss the climbing wall and make it to the top! Coursework getting you down? Feel like you are drowning in books? Challenge yourself to climb to the top of the David Ross Sport Village and beat the wall as an achievement for the day. Fancy a massage? Get a discounted sports massage with your UoN membership. Muscles feeling tight from training, our sports injury clinic can help you out. A sports massage will help increase flexibility, mobility and blood flow to muscles- perfect if you enjoy cardio. University is all about new experiences so try something you’ve never done before with our engage programme. The engage programme is free with a UoN sports membership so why not try climbing, canoeing, Gaelic football or synchronised swimming. This will give you something interesting to talk about when you head home for Christmas! Not lifting your ideal weight? Get specialist tips with a lifting workshop included in your membership. Included in your sports membership is an opportunity to attend a lifting workshop, you can attend whether you have lifted before or you’ve been too nervous to try! An expert will be there to talk you through the moment and help you get the perfect form so you can leave feeling confident. Support #GreenandGold on a winning Wednesday. Why not get behind our university athletes by supporting them on a Wednesday afternoon. You can even support them from the gym with over 100 cardiovascular machines overlooking one of our sports pitches. We hope this helps you utilise all the facilities and services we have available within the UoN Sports and Fitness Membership with Early Bird Memberships are now available for £209. To purchase or find out more about Sport and Fitness Memberships please visit: https://www.nottingham.ac.uk/sport/membership/index.aspx or call 0115 74 87000.